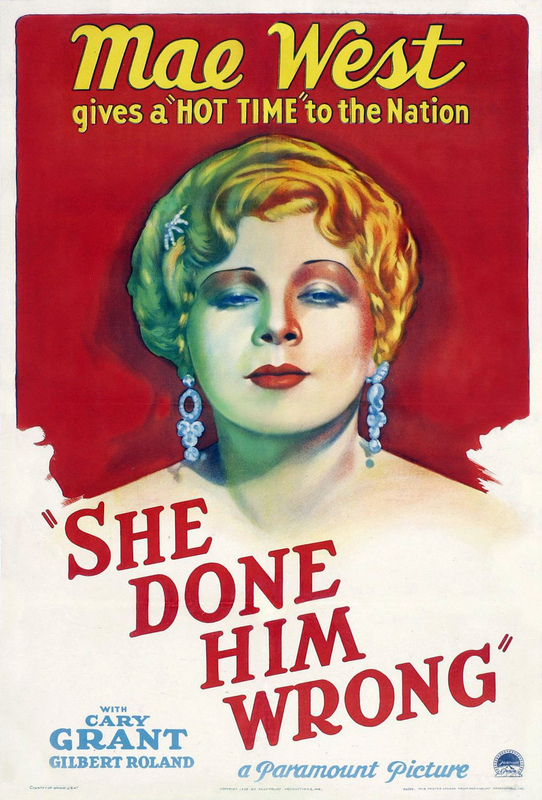 She Done Him Wrong, a 1933 comedy/drama from Paramount Pictures. The film was directed by Lowell Sherman and adapted for the screen by Harvey F. Thew and John Bright. The synopsis:Lady Lou, a sassy New York singer, had a little fling with a prison-bound jewel thief before his sentence was carried out. Now he’s escaped, and he’s ready to come back home and find his girl. Unfortunately for him, Lady Lou hasn’t exactly been lonely while he’s been locked up. Diamond Lil, the play which the film is based on, was written by Mae West herself. West also starred in the original production (which opened in 1928), as well as both of the revival productions (opening in the late ’40s and early ’50s). Though the film is a pre-code, its content still had to be “watered down” compared to the stage production. Edith Head already had nearly ten years at Paramount under her belt when she designed the costumes for this film. The film was shot in less than a month. This is the shortest film to ever receive a Best Picture nomination at the Oscars. It runs at just a few minutes over an hour. Though originally released by Paramount, the rights were sold to Universal in the late 1950s (along with an enormous batch of other Paramount films). This is why you see the fancy, modern Universal logo pop up before the black and white Paramount one if you watch the film on Netflix or television now. The film was banned in Atlanta, Australia, Finland and Austria. The film’s release also inadvertently led to the formation of The National Legion of Decency six months later, with founders citing it as an example of a morally offensive film that created the need for an organization for decency in films. The film had a budget of around $200,000 and ended up grossing over $2 million. It saved Paramount from bankruptcy. 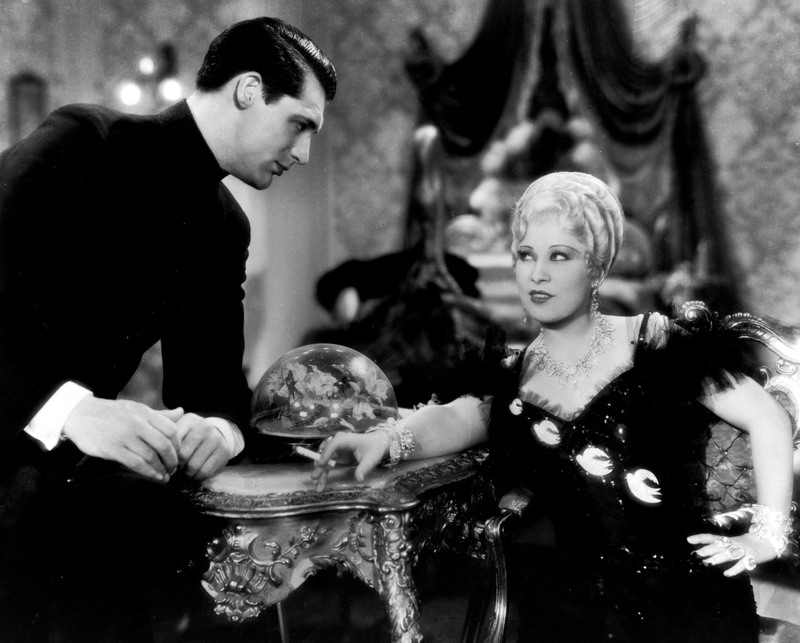 Though Mae West liked to take credit for discovering Cary, he had already appeared in seven films prior to this one. STREETCARS. HORSE-DRAWN CARRIAGES. TANDEM BICYCLE. Pretty much every line uttered by Lady Lou. Her dialogue is so snappy! The ending, with “The Hawk” becoming Lou’s jailer – The dialogue in this scene is such an odd mix of pre-code saucy, mildly creepy and corny that I don’t even know what to think, but I kind of love it. Don’t forget his hats, too!